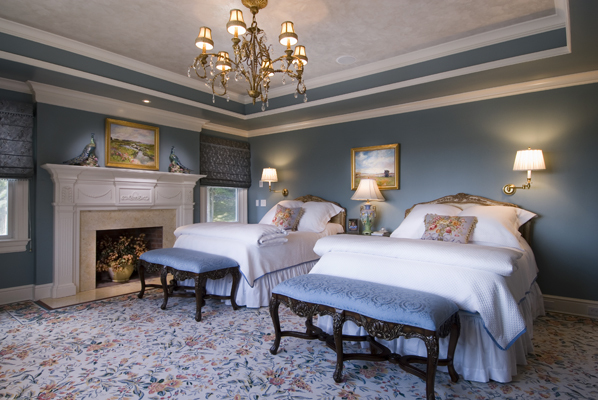 In this spacious master bedroom and using our clients' existing beds and benches, we selected a fine wool carpet that incorporates the various blues, as well as the additional peach and rose tones that bring warmth to the room. Since the clients did not intend this to be a working fireplace, all that was needed was a silk wildflower bouquet picking up the sandy and peach tones from the surrounding marble. 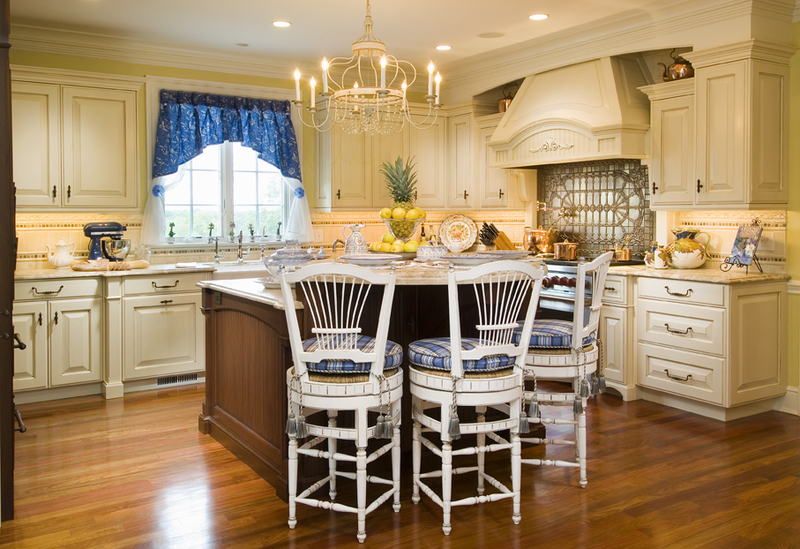 John-Richard was our choice for the six-light crystal/gold-leaf chandelier. The hand-painted ceramic peacocks and floral needlepoint pillows further connected the room to the carpet.